For some high school students, the thrill of dancing away from home doesn't end when the summer is over. In fact, those who attend residential performing arts high schools live in dorms, work with esteemed guest artists and faculty, and spend half of every school day in a dance studio—from September to May. Offering a true conservatory experience, these schools can transform your technique and provide unique performing and choreographic opportunities. Of course, there are some drawbacks: In most cases, boarding school means you're living away from home—and your home dance studio—and you might not be as likely to attend the latest "It" convention or take as many classes outside the classical ballet and modern canon. And the cost of tuition plus room and board can be prohibitive. But if you've got your sights set on a college or conservatory program, or are aiming for a company trainee position post-high school, considering a year-round high school for dance might be worth it. Here are five residential performing arts high schools you should know about. 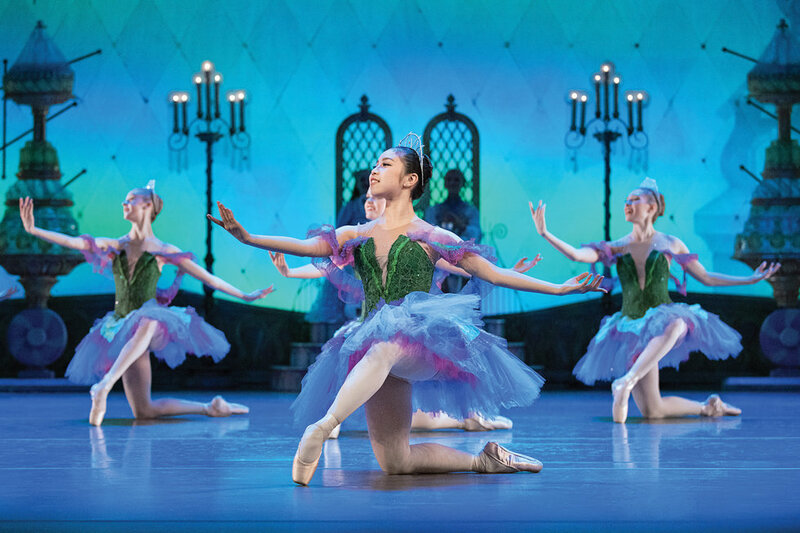 Offering both high school and college-level programs, University of North Carolina School of the Arts allows dancers the opportunity to concentrate in either classical ballet starting in 9th grade, or contemporary dance in 11th grade. Student Body: 101 dancers out of more than 260 high school students total; there are more than 1,000 additional students on campus in the college and graduate school programs. 20 percent of the high school dancers commute to campus. Financial Aid: Residents of North Carolina receive free tuition. Merit-based scholarships are granted, and some need-based scholarships are also available. Faculty: 16 full-time dance teachers; recent guest artists include American Ballet Theatre principals Misty Copeland and Isabella Boylston, and choreographers Doug Varone and Helen Pickett. Alumni Activities: Most students continue on to college dance programs throughout the U.S., including University of Southern California, SUNY Purchase, and Butler University, while some have headed directly to dance companies. Yaman Kelemet, a 2017 graduate, is now a soloist with the Slovenian National Ballet, and Sierra Armstrong, who trained at UNCSA's preparatory program before attending its high school, joined ABT's studio company in 2016 and is now in the corps de ballet. Fast Track: "Each year, several high school graduates return to UNCSA for college," says dean of dance and former ABT principal Susan Jaffe. "Students who completed at least one year of high school at UNCSA can earn a BFA here in three years." A version of this story appeared in the December 2018 issue of Dance Spirit with the title "Living And Studying Where You Dance."